It’s a busy weekend. The first weekend in May is free comic book day, The start of our renaissance Festival, the release of Avengers: Age of Ultron, the release of the Simpsons series 2 LEGO minifigs, and the start of May the 4th. 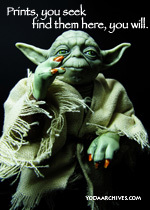 The 4th isn’t till monday but some places are already holding Star Wars themes sales. Use the code “may4th” to get 20% off on all prints in our store envy shop. Good till Revenge of the sixth. May 2, 2015 | Categories: Star Wars | Tags: free comic day, may 4th, MayThe4thBeWithYou, sales/specials | Comments Off on May The 4th Be with you! Five Below has a few LEGO polybags in store. 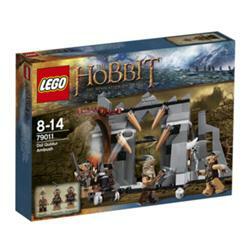 There are listed at $3.99 which is usual retail for the sets pictures. Selections may vary by store I’ll try to check the store sometime this week. Tee Fury has two Star Wars shirts today. No One’s Slave features a pin-up version of Princess Leia in the metal bikini, a beautiful drawing of Leia. 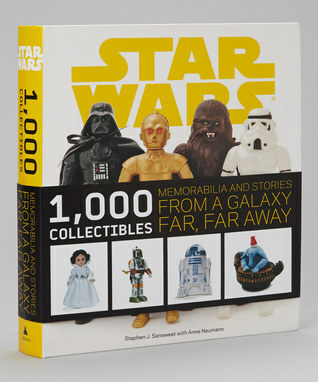 But the one fans of this blog may find interesting is 92 Card Back which is inspired by the vintage Kenner line. 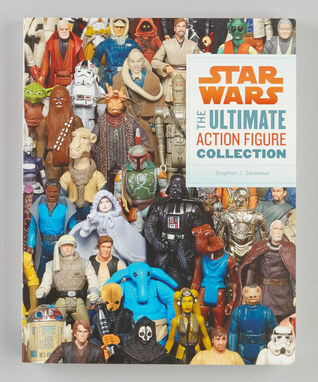 It is designed after the figure card backs which showed all the figures in the toy line. A close up of the figures. You can see more at Tee-fury. Tee-fury now has shoes and geeky “ugly sweater” sweatshirts. Scroll down their site to see. 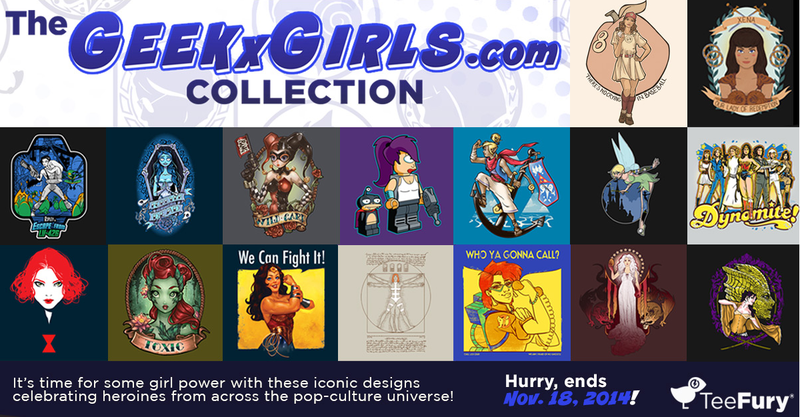 Tee Fury has teamed up with GeekxGirls.com to bring you 16 designs at $15 each – sale runs until November 18th. Check out the GeekxGirls Collection! Hurry, ends November 18th! 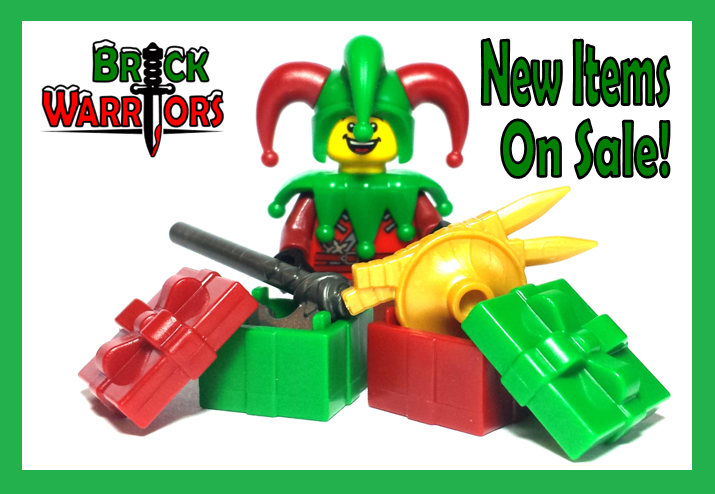 Save and Earn Store Credit at Brick Warriors! 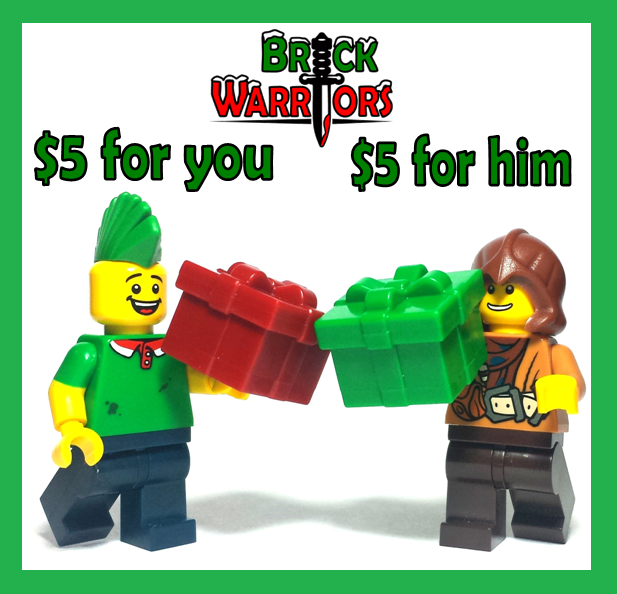 Open a new account at Brickwarriors and get $5.00 credit for your next order. If you tell them I referred you, I’ll get credit on a future order. 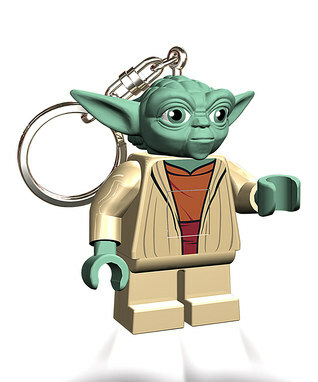 Brickwarriors makes custom accessories for your LEGO minifigures. They cover several genres including wild west, fantasy, Greek mythology and modern warfare. 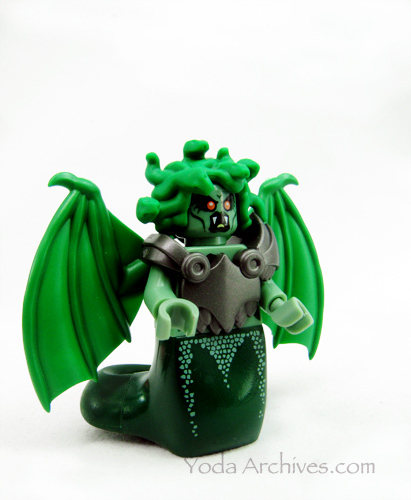 You may remeber when I used their wings and armor with the Medusa minifig. Plus for November 5% of all sales go to Toys for Tots! 2) 5% of all sales this month will go to Toys for Tots! 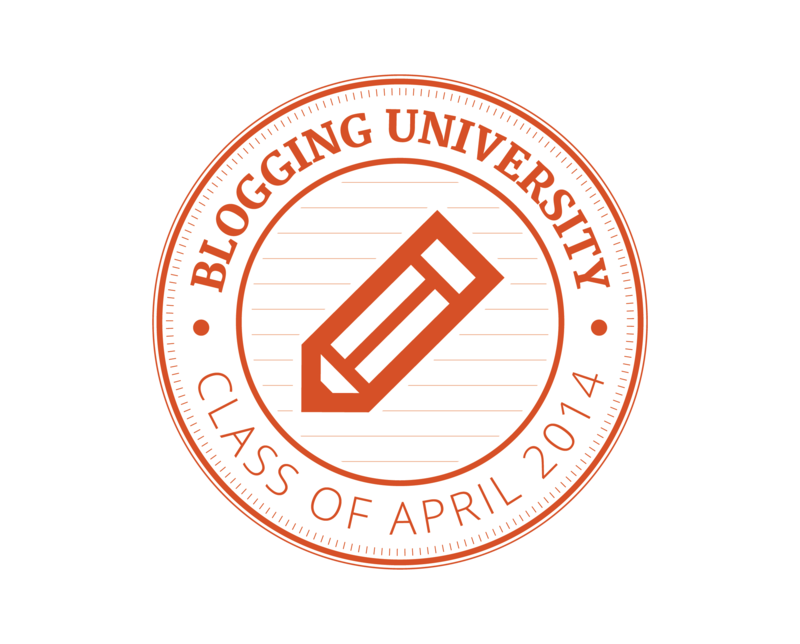 3) When you check out, write “referred by Chris Jarvis/YodaArchives” in the comments section. We’ll both get credit on a future order. Store Credit details: 1) Must be a new customer. 2) In order to apply store credit, you must create an account (credit cannot be applied to those who check out as guests). 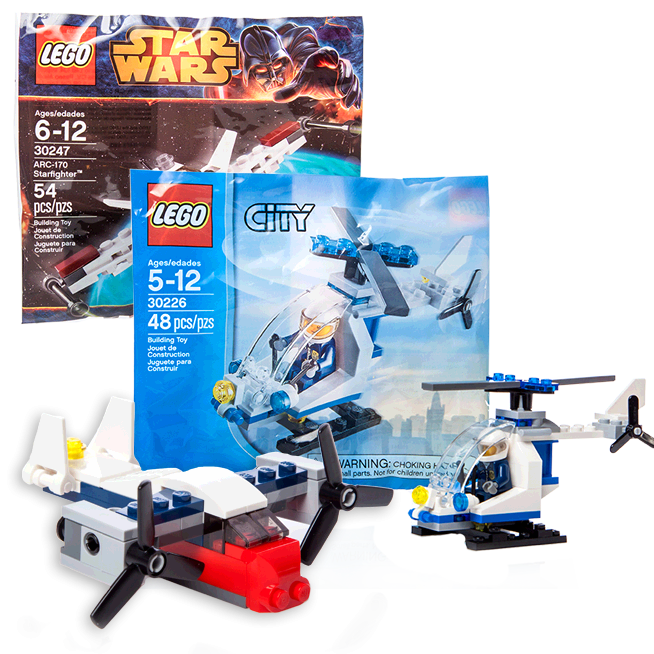 November 8, 2014 | Categories: LEGO, Other Building Bricks | Tags: brickwarriors, Charity, custom bricks, LEGO, sales/specials, toys for tots | Comments Off on Save and Earn Store Credit at Brick Warriors! Mornings mean Mega Bloks, Bloks for Breakfeast? I had a nice surprise at the grocery store today. Actual toys in the cereals boxes. 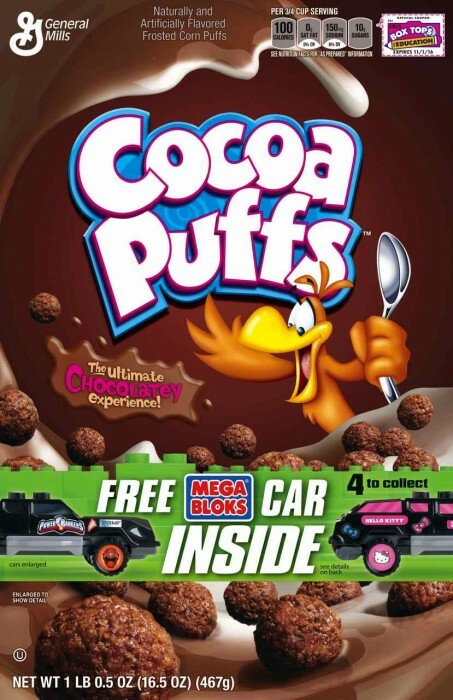 Specifically selected General Mills brands have a Mega Bloks car inside. There are four different vehicles; a pick-up truck, a SUV, and two cars. Each set has a set of Hello Kitty and Power Rangers stickers. I like that both themes are in each set. IT prevents a Hello Kitty fan being upsets if the got the Power Ranger set or vice versa. Or you don’t even have too add the stickers. That way you can use the blocks with your others sets. You can choose which set to decorate your car. Once the box is empty, you can cut out sections and make a ramp to drive the cars over. I spotted them in Lucky Charms, Reese’s Puffs, and Honey Nut Cheerios. According to the General Mills blog the toys can also be found in Golden Grahams, Coco Puffs and Cinnamon Toast Crunch. 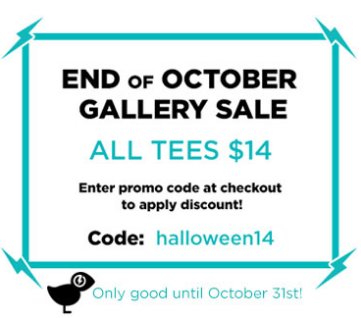 TeeFury is holding a Gallery sale till Halloween. Use the enter the coupon code halloween14 at check-out to receive $4 off any shirt in the TeeFury Gallery! There are several shirts in the gallery. Currently there are two brick related shirts. 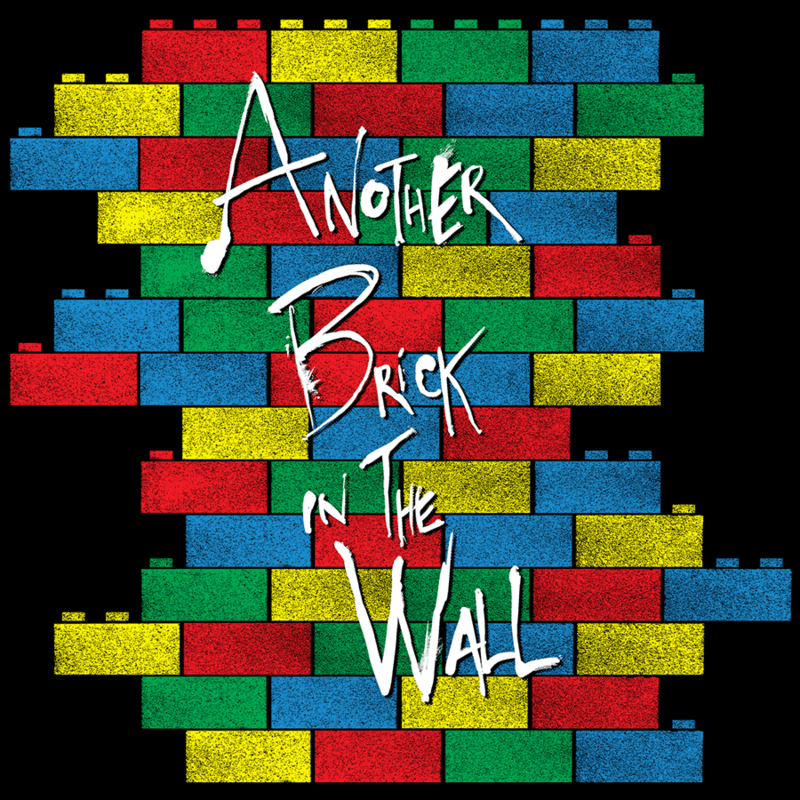 Another Brick in the wall and Autoblocks. 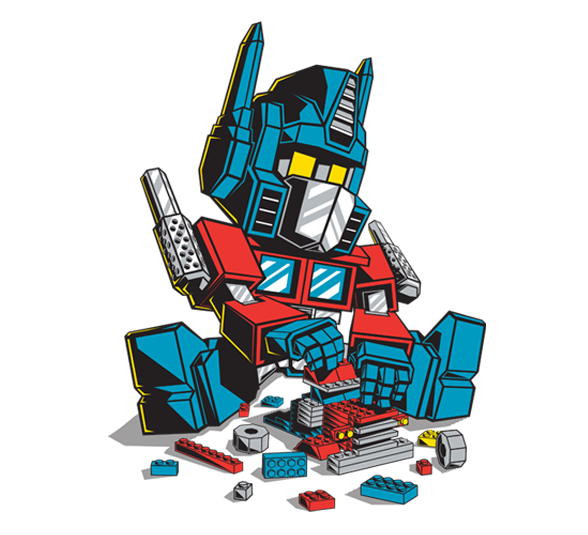 One is a Pink Floyd Reference the other is Optimus Prime playing with Optimus Prime. 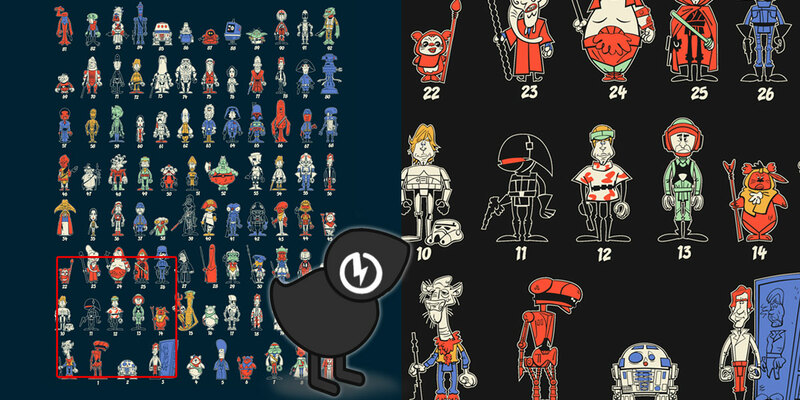 There’s also a bunch of Doctor Who, Frozen, Star Wars, and Supernatural designs. 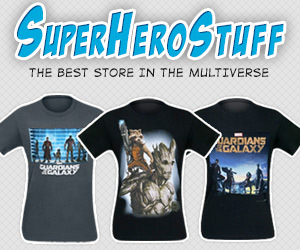 TeeFury is an affiliate site and purchasing the shirts via the links on this site helps supports my artwork. UPDATE: There’s a link on the main page for Best of 2013. Click that and you can find two more LEGO shirts : the Browncoat Brick design( classic space meets firefly) and the I am a Giddy Goat (IT Crowd Moss minifig). 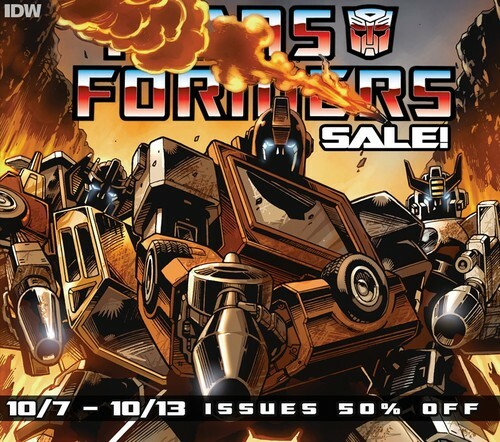 Just in time for Robotober Comixology.com is running a sale on Transformers comics. Over 40 digital comics for 99 cents each.